In 2014, Google announced a cheap and accessible standard for experimenting with virtual reality called Google Cardboard. Who would’ve thought that a normal cardboard could be used as a VR viewer? Since then, we know that Google will make this virtual reality journey more exciting than Google’s previous projects. And, it shows when Google started developing applications for VR. In this post, we have curated five Google’s VR apps you should never, ever miss on your smartphone. 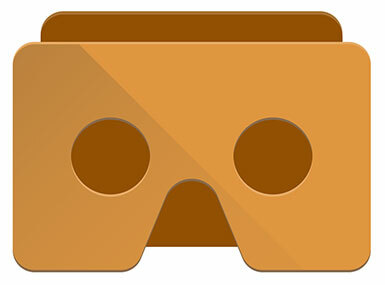 Cardboard is a first taste of virtual reality on your mobile phone. Who says you need an expensive 360 camera to capture a 360 picture? You can do it with your mobile phone! Download Cardboard Camera on Android. Download Cardboard Camera on iPhone. On March 13, 2015, YouTube enabled 360-degree video which can be viewed from cardboard VR viewer, like BeThere Book. YouTube is now the biggest library of 360-degree videos. Download Google Spotlight Stories on Android. Download Google Spotlight Stories on iPhone. Google Earth VR lets you fly around the world, and it could be the best VR app all the time. However, Google Earth VR only supports HTC Vive at this time. From these apps above, which one do you like the most? And, why? Let us know in the comment below!